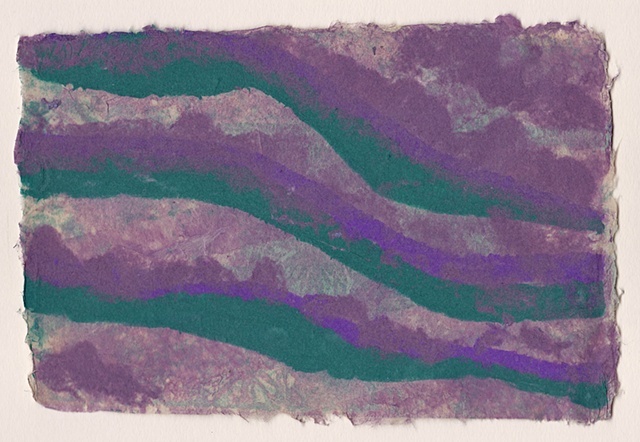 The contours and colors of the land around my New Hampshire home inspired this paper painting. I sprayed pigmented cotton pulp through a stencil onto a base sheet of kozo to form the design of this artwork.. The finished piece is mounted on a white cotton rag mat of archival quality. .